The Highland games are held in Scotland, but also in England and other countries as a way of celebrating Scottish and Celtic culture. 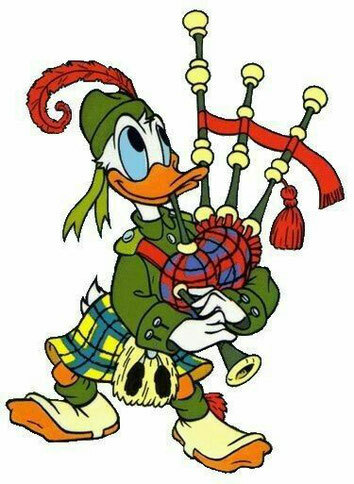 A lot of aspects of the games are well known, such as the bagpipes, the kilt, and the heavy events. Some of the events are: competitions in piping and drumming, Highland dancing and Scottish heavy athletics like Caber toss, Hammer throw and Stone put. Long before colonists began to settle the New World, Scotland had a lengthy history and culture. In Scotland, Heavy Athletics Events were already being held at least 1,000 years ago! Heavy Events began as tests of strength and conditioning for Scottish troops. A tree trunk would be made into a caber and tossed by the strongest military men. Smooth rocks from river beds would be heaved for distance. Lead weights would be tossed underhand over a bar more than twice as high as the athlete. The competitor who accumulated the most points from the contests would be the Heavy Events Champion. The Assynt Highland Games, also known as the Friendly Games, take place each summer in the North-West Highlands. The village of Lochinver (in Culag Park) hosts the games every second Friday in August and is an amazing day out for all the family. You can visit the games and watch the athletic events, there are competitions in Piping and Drumming, Highland dancing, Fly-casting and Scottish heavy athletics, like Caber toss, Hammer throw and Stone put. At the end of the day there is The Hill Race and Tug-of-War on the Games Field and the afterparty is held on Games Night at Lochinver Village Hall. 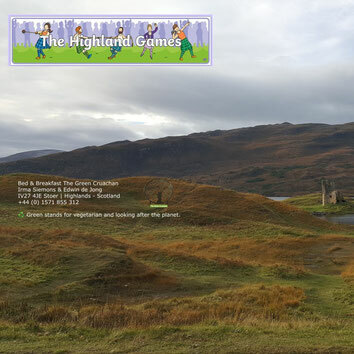 The scenery of Games Day is amazing, watch iconic mountains like Suilven and Quinag and there are unspoilt beaches (Achmelvich, Clachtoll) close by. Click here for the latest info about the Assynt Highland Games. Video Explanation of The Highland Games.